Dry eyes occur when your tears aren't able to provide adequate moisture for your eyes. Tears can be inadequate for many reasons. For example, dry eyes may occur if you don't produce enough tears or if you produce poor-quality tears. Dry eyes feel uncomfortable. If you have dry eyes, your eyes may sting or burn. You may experience dry eyes in certain situations, such as on an airplane, in an air-conditioned room or after looking at a computer screen for a few hours. Dry eyes treatments may make you more comfortable. 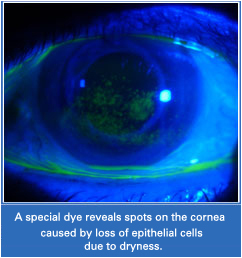 Dry eyes treatments can include lifestyle changes and eyedrops. 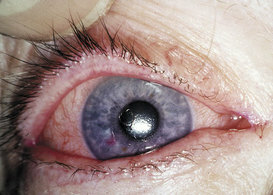 For more serious cases of dry eyes, surgery may be an option. *All treatment could be done in office, except for tarsorrhaphy surgical procedure. Other severe dry eyes treatments includes autologous serum eye drop and last resort, tarsorrhaphy procedure.